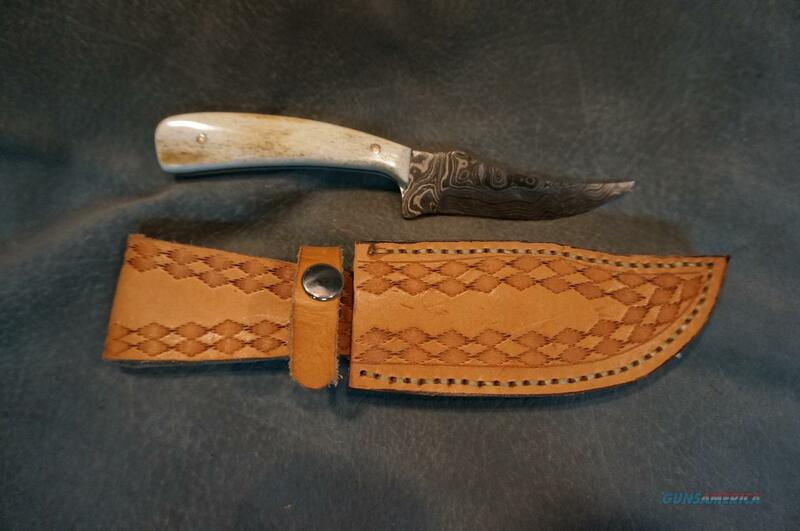 Description: Custom Damascus Knife 3 1/2" blade,bone handle,7 1/8" overall,with custom sheath.Never used. We buy, sell, consign and trade new and used firearms. This is our 42nd year in business. We offer 90 day layaways with 20% down. No return on layaways. Firearms will need to be transferred through a FFL dealer. Prices reflect a cash discount. There will be 3% added to credit card sales. We trade for gold and silver. Gun collections wanted for cash. THANK YOU! We Sell new and used firearms,high quality optics.We have over 3000 guns in stock,this is our 40th year in business. We also trade in gold,silver and rare coins.Prices listed are discounted for cash,please add 3% for credit cards.